Serving food in mason jars is one of my personal favorite things to do. 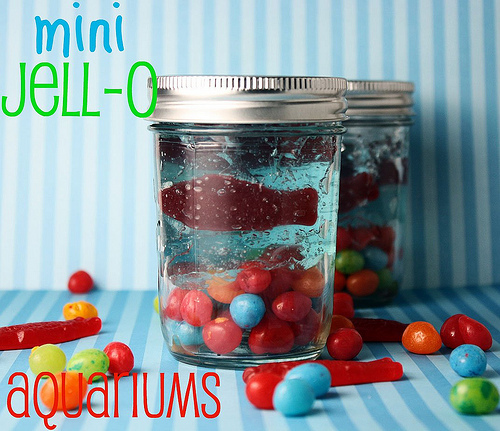 Add some jello and mini fish and no kid can resist these cute mini jello fish bowls. Great for a party, backyard picnic, or just to spice up a weeknight dinner. Put a smile on your kid's face with these great desserts. Please visit the original source above to pin this project.